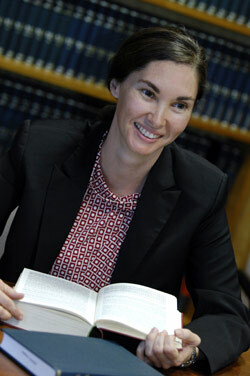 Georgia McMaster is a barrister at Murray Chambers in Darwin, Northern Territory. Georgia was born in Darwin. She was admitted to practice on 1 July 1997, and she has worked as a solicitor in various capacities including for the Commissioner of Police, Ward Keller Lawyers, Darwin Community Legal Service, Summary Prosecutions, and the Office of Director of Public Prosecutions. She has lived and worked in Alice Springs, travelled to many of the Territory’s bush courts, and worked as an Associate for most of the Supreme Court judges. Georgia was the vice-president of the NTBA in 2005-2006. She has been a barrister since 2005, and is also a lecturer at the Charles Darwin University School of Law, where she teaches evidence, criminal law and advocacy.